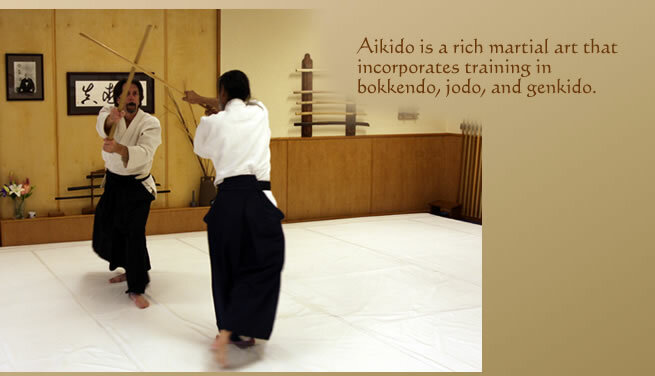 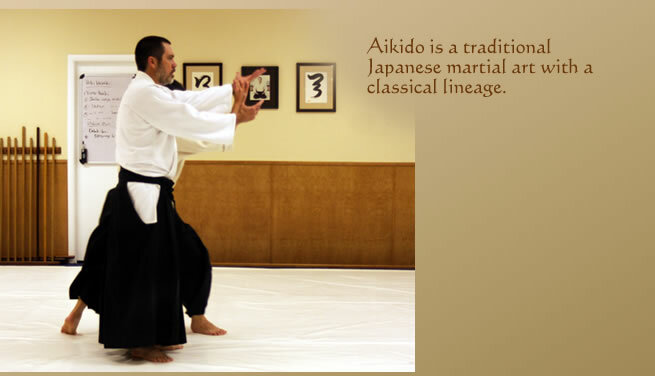 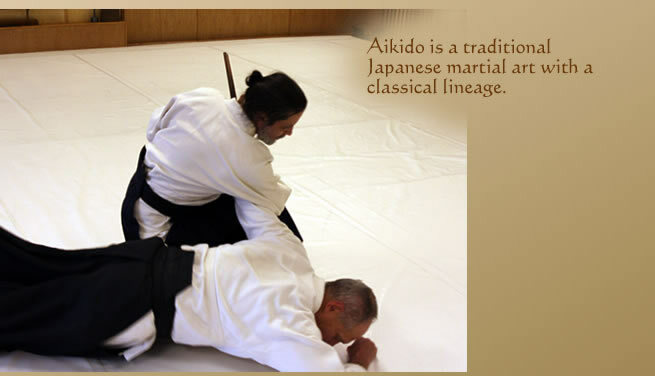 On a purely technical level, Aikido is a martial art involving throws and joint locks that are derived primarily from Daito Ryu Aikijujitsu, but with influence from a number of other traditional Japanese martial arts as well. 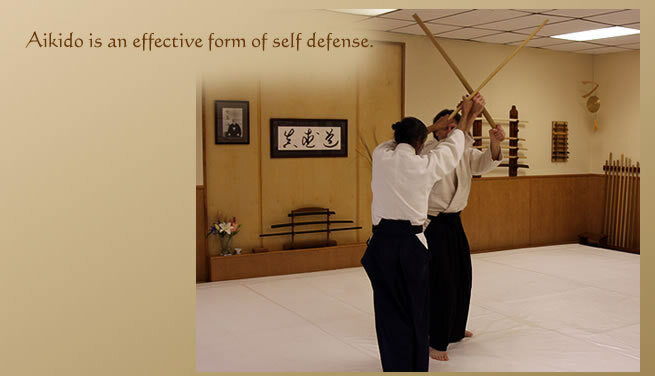 The focus is on defensive, rather than offensive, moves. 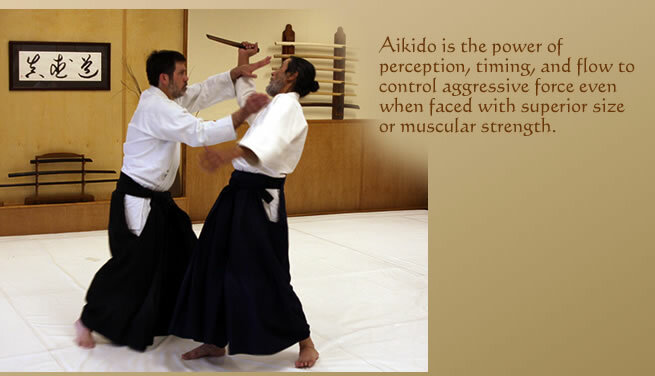 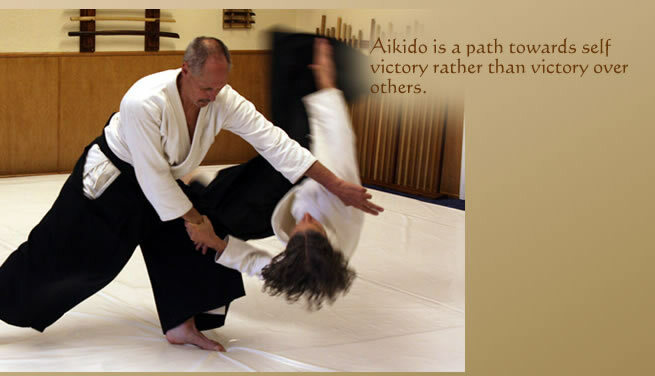 Aikido does not emphasize kicking or punching one’s opponents, but rather on using the attacker’s energy to gain control of the attack and then throwing or pinning the attacker. 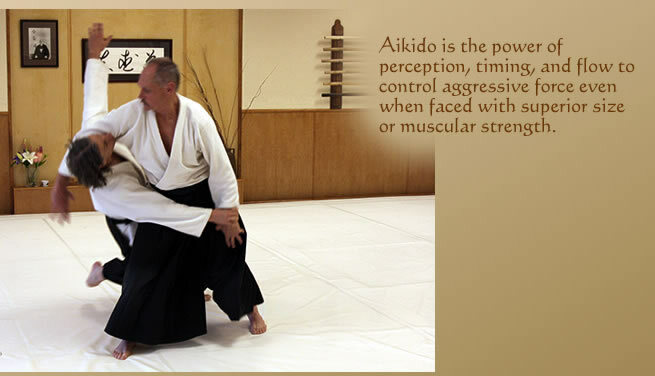 Central to Aikido techniques is the concept of controlling and leading an opponent’s flow of energy, or ki. 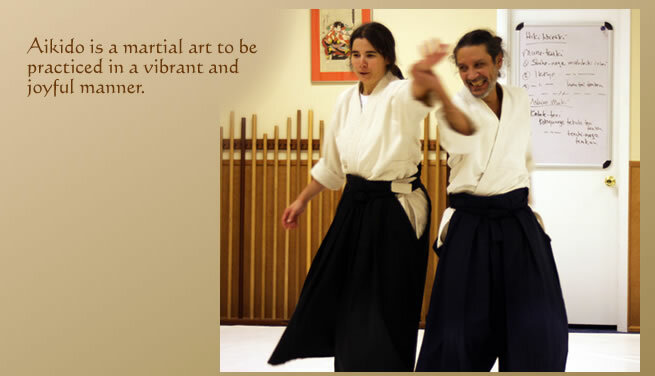 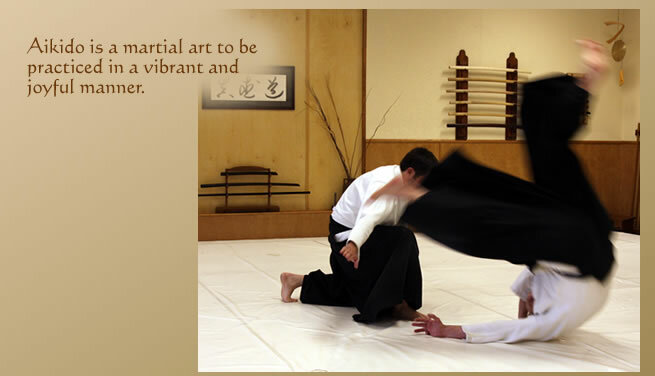 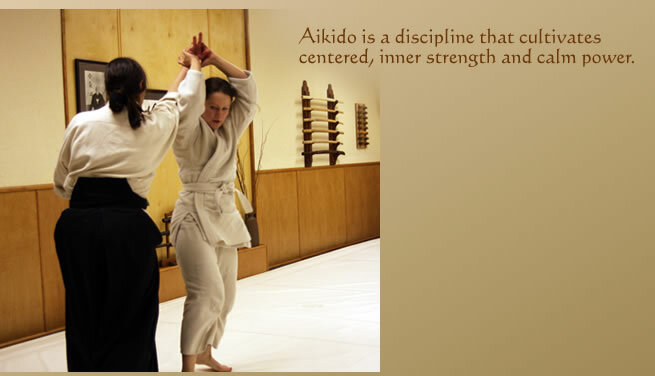 Beyond the physical components of Aikido, O Sensei emphasized the moral and spiritual aspects of this art, placing great weight on the development of harmony and peace. 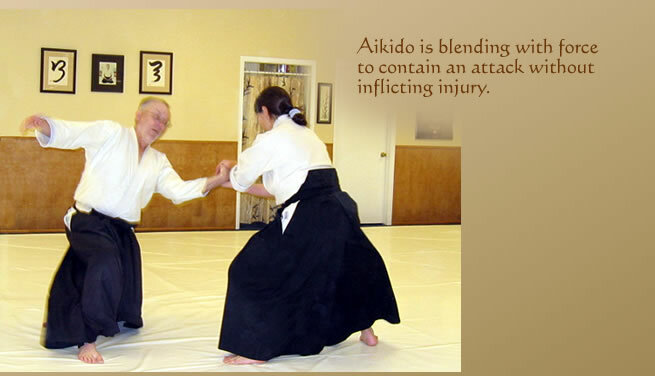 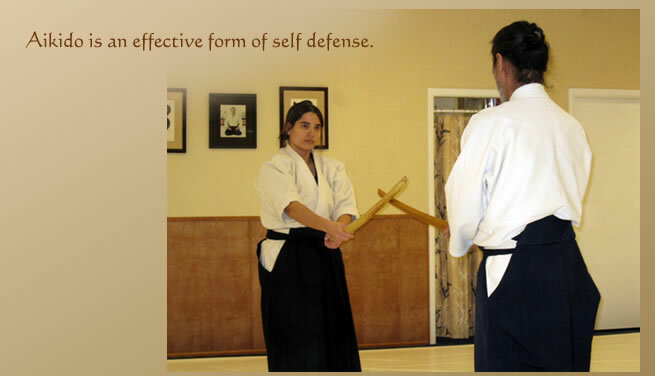 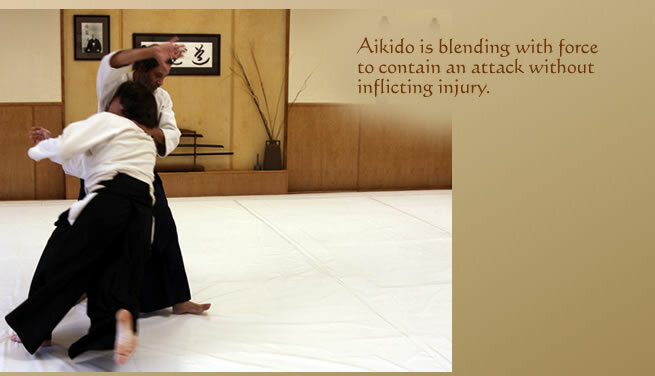 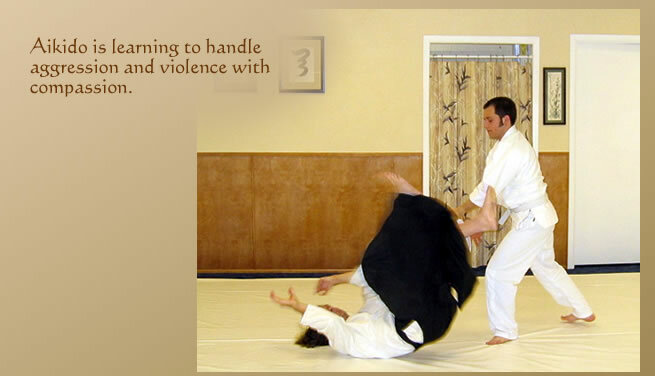 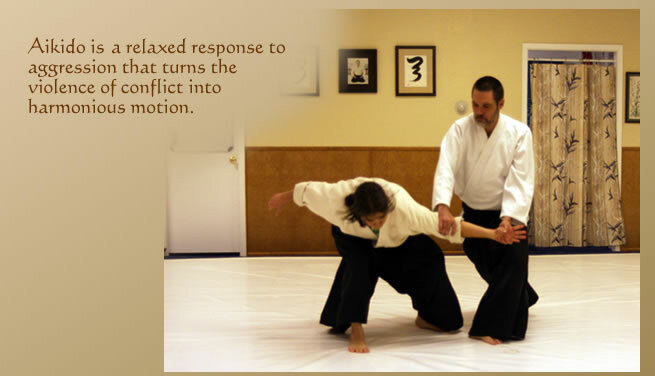 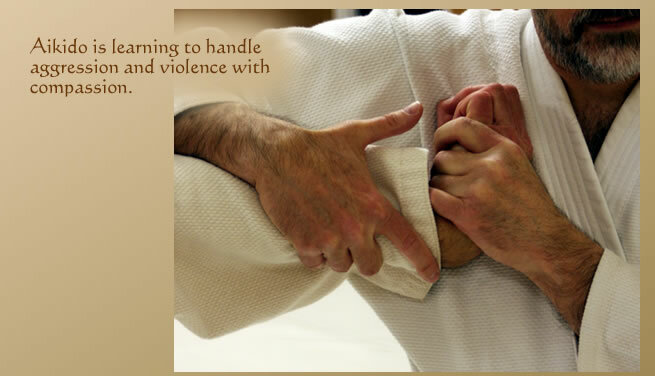 In Aikido, a primary goal is to minimize injury or harm to an aggressor by ending any aggressive behavior as quickly and humanely as possible. 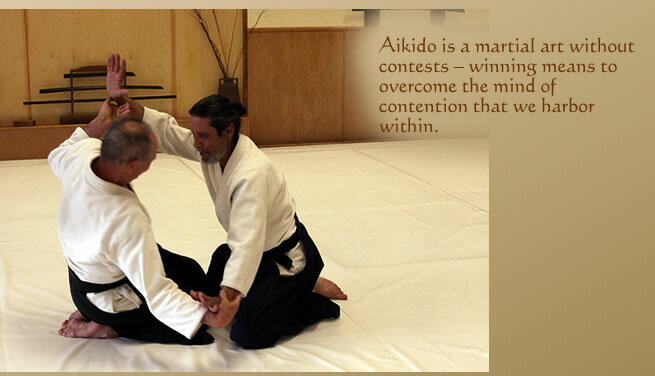 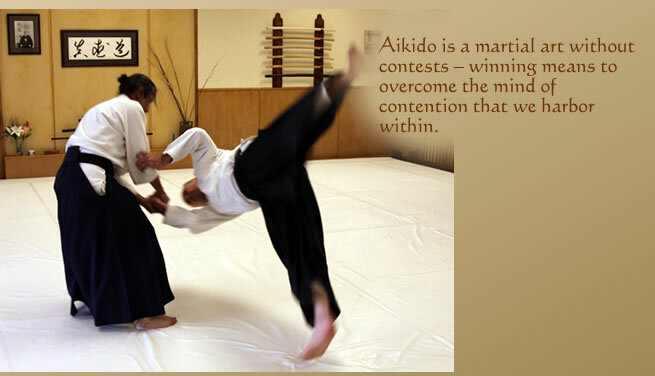 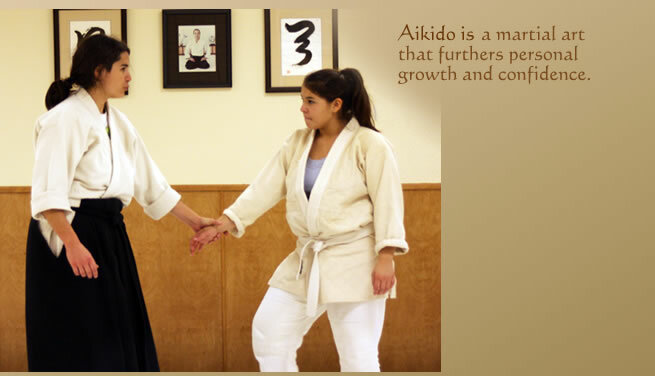 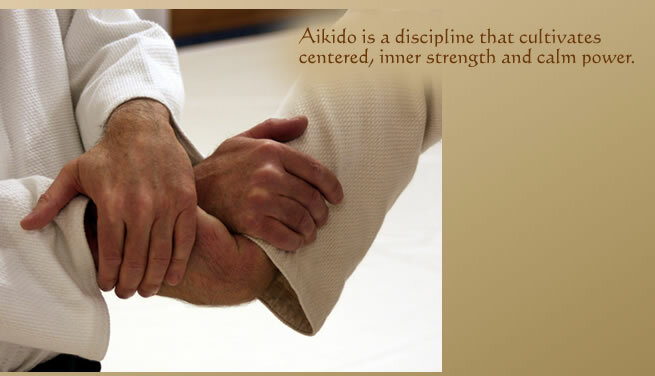 Unlike other martial arts that are practiced for sport or competition, Aikido relies on cooperation, not conflict. 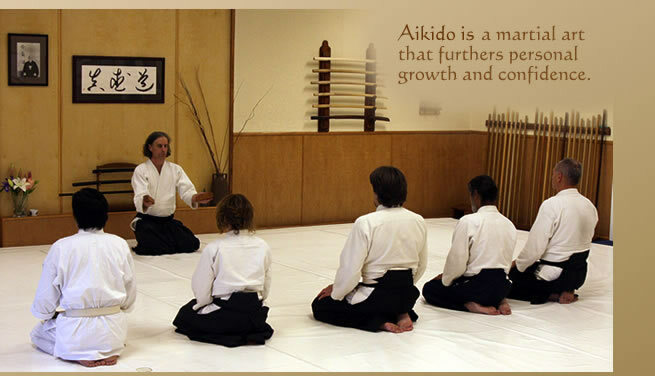 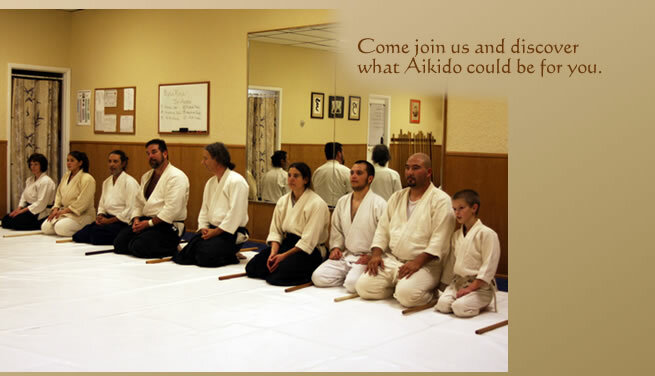 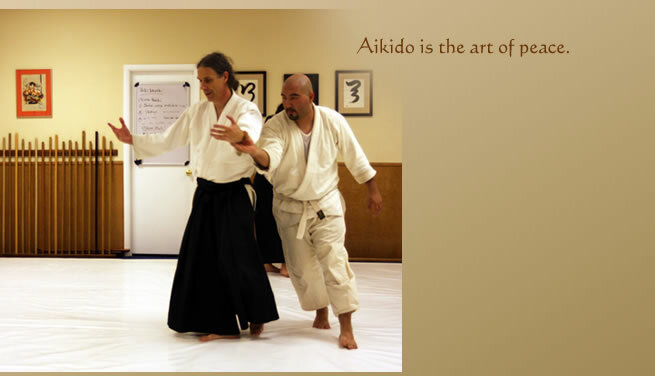 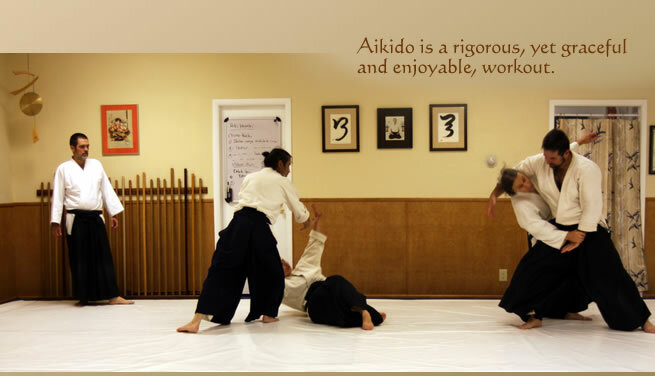 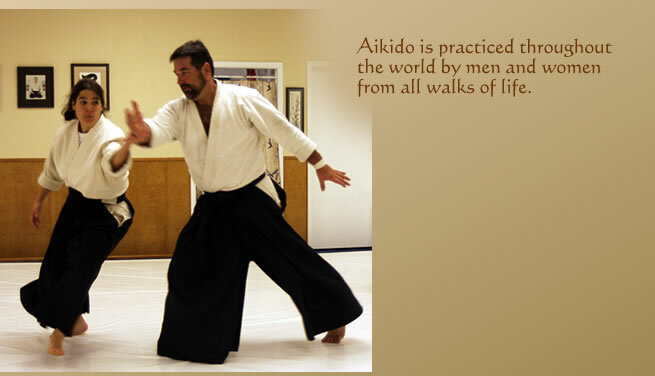 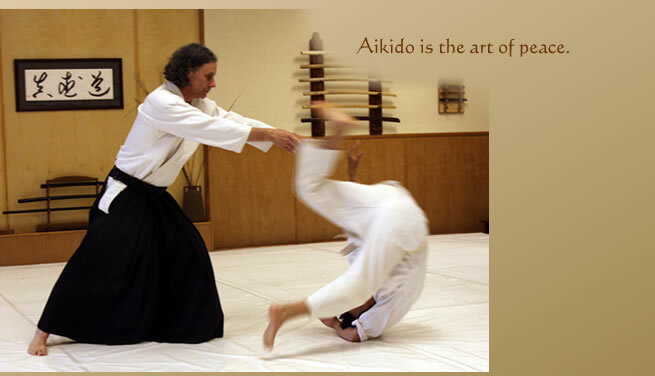 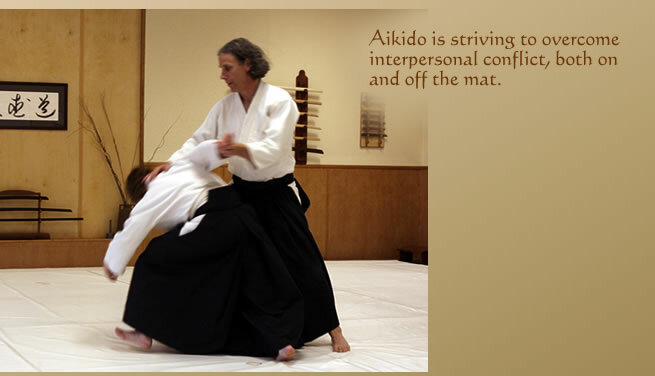 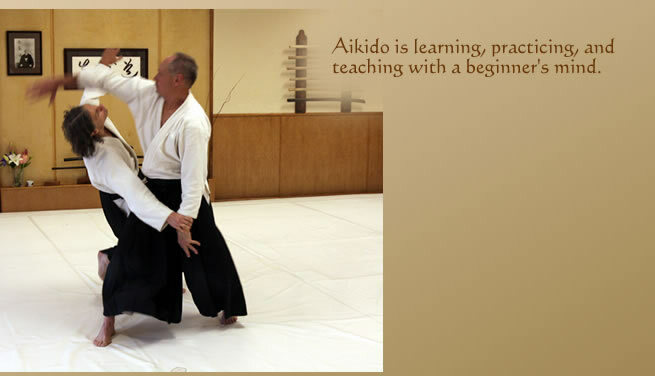 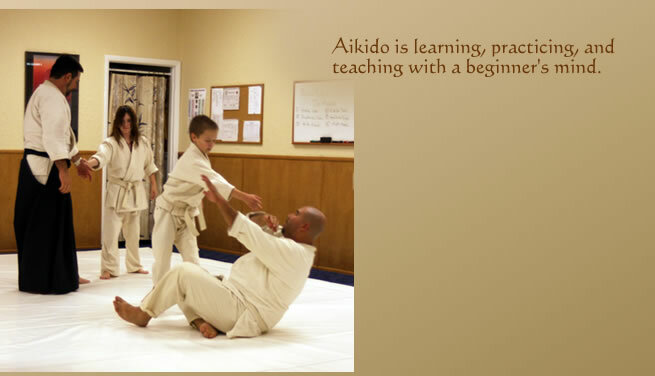 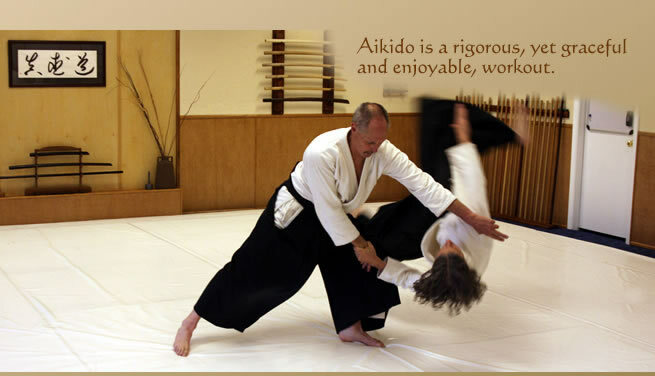 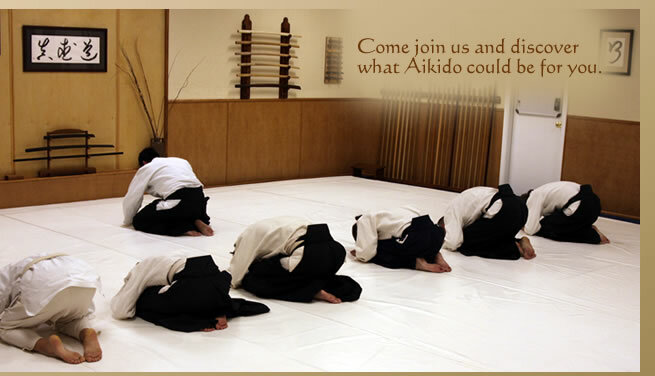 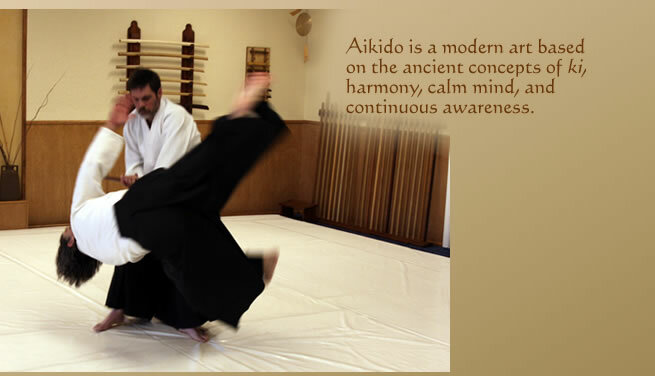 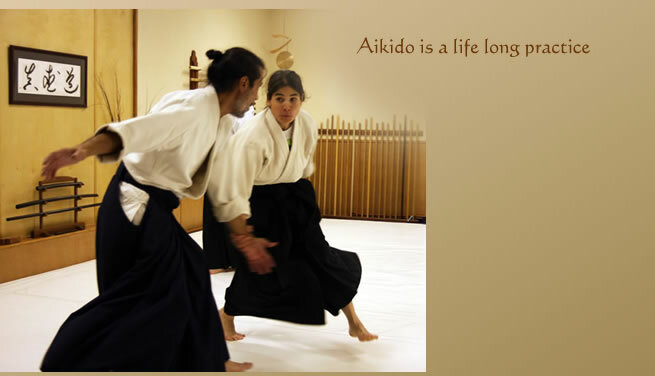 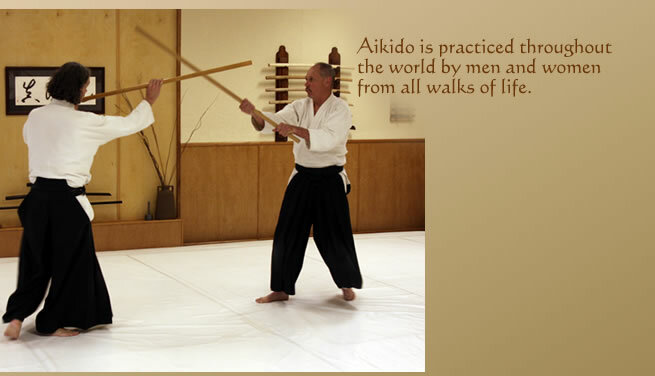 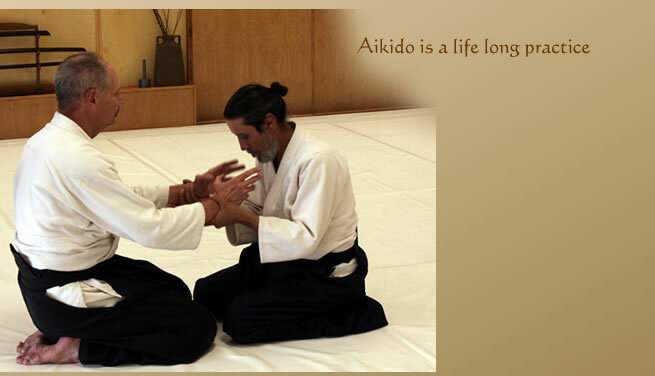 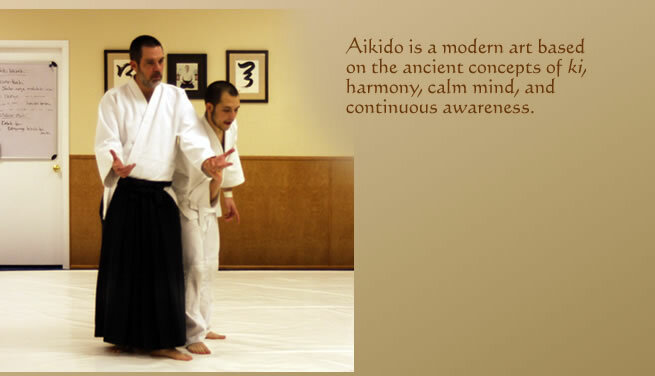 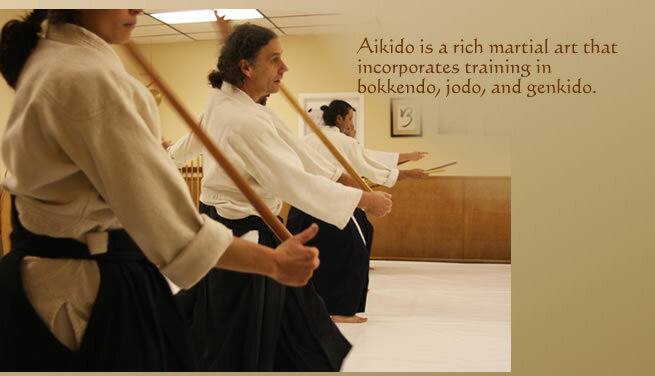 Aikido training emphasizes the need for mutual trust between partners and develops a heightened awareness of the dynamics of interaction between individual and environment. 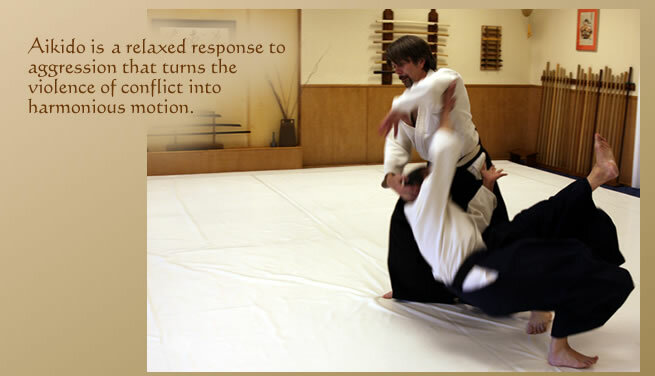 Its characteristic blending techniques turn the hostility and violence of conflict into harmonious motion.